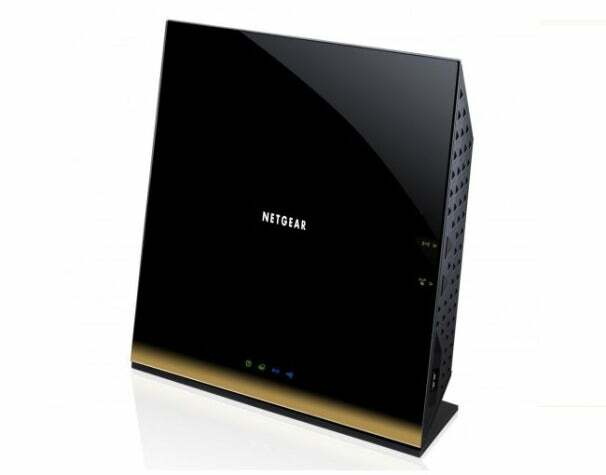 Netgear is officially the first networking company with an 802.11ac Wi-Fi router, the company announced Thursday. The R6300, which will debut in May, will reportedly run up to 1.3Gbps on the 5GHz band, which makes it (theoretically) more than twice as fast as current 802.11n routers. The R6300 features four gigabit Ethernet ports for hooking up wired devices, and two USB ports for network-attached storage and printer sharing. The router has DLNA support, which lets you securely stream media across multiple devices. The R6300 is also backward-compatible, which means that it will work with all of your existing wireless devices. This is important, since there are no 802.11ac-compatible devices currently on the market, and none are expected until the end of this year (at the earliest). The R6300's top speed of 1.3Gbps is only attainable using the 5GHz band. This means that if you have devices on your network that use previous wireless standards (both 802.11ac and 802.11n operate on 5GHz, but not 802.11b/g), then your R6300 will also fall back to those standards. The R6300 is a dual-band router, though, so a settings tweak should let you banish slower devices to the lower 2.4GHz band, while maintaining faster devices on the 5GHz band. Though the R6300 is the first 802.11ac router announced, it's not the first time we've seen the technology. At CES 2012, we saw a prototype 802.11ac router from Buffalo running on unofficial standards, as well as one from TrendNet. Those routers are expected to debut in the fall, while the R6300 will be released in May. The R6300 will cost $200 and be sold through Netgear's authorized retailers, including Amazon, Best Buy, and Fry's Electronics.